When you have found the perfect item, simply select the quantity you want, click add to cart, and the item will be added to your online shopping cart. When you are ready to check out, click the cart icon. Please remember to include any additional information, comments, or requests in the "Special instructions for seller" area before checkout. If you need assistance, please contact customer service at CustomerService@AmericanSale.com. Does American Sale ship to one address but bill another? Yes! In checkout, you can choose to bill to a separate address if it's not the same as the shipping address. Residents of Illinois and Indiana are charged 7% sales tax. All other ship to addresses outside of these states are not charged sales tax. There is no minimum dollar amount to place an order. Can I use an American Sale gift card or merchandise credit towards my online order? Currently, AmericanSale.com does not accept any gift cards or merchandise credit towards an online purchase. A customer may use their gift card or merchandise credit towards an in-store purchase at any one of our store locations. I have lost my order number. Who can I contact to get it? Please contact customer service at CustomerService@AmericanSale.com. What is American Sale's return policy? American Sale wants to make sure you are satisfied with your purchase. 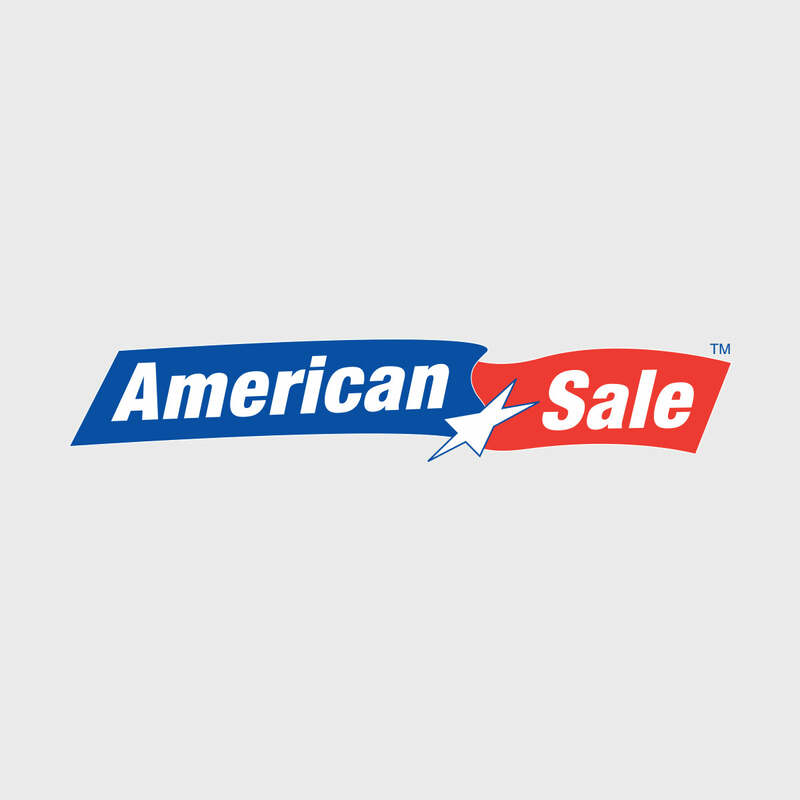 Please visit the American Sale Return Policy Page or contact the Customer Service Department with any questions or concerns regarding our return policy. Where does american sale ship to? American Sale currently only ships to customers in the United States. We cannot ship to P.O. Boxes or FPO addresses. If an order is to be shipped outside of the 48 contiguous United States, the customer is responsible for any additional shipping charges, tariffs and/or import taxes imposed. If an item is ordered and is not shippable, our Customer Service Department will notify that customer. You can get estimated shipping costs on the cart page, otherwise, you will be able to see the actual shipping costs in the checkout process by filling in the required shipping information. The website will calculate your estimated or actual shipping cost with no obligation for you to purchase anything. When does American Sale ship my order? Orders are filled and shipped Monday through Friday usually within 5 days of order placement. Orders placed after 1:00 PM (CST) Monday through Friday, weekends or holidays cannot be filled and shipped until the following business day. On occasion, products are not in our main warehouse but at a store location. These orders may take extra days to pack and ship. Air packages cannot always be shipped within 1 business day if product is not in our main warehouse. Orders are shipped typically are received within 3-5 business days of shipment if via UPS or FedEx and 10-14 if via SmartPost. If you have not received your order within this time frame, please Email Us. At American Sale, we are committed to making sure that individuals with disabilities can enjoy and explore full access to our websites. In recognizing this commitment, American Sale is in the process of making adjustments to increase both accessibility and usability of this website, using the applicable portions of the Web Content Accessibility Guidelines 2.0 (WCAG 2.0) as our standard. Please note that these efforts are ongoing. If at any time you have trouble using this website, or with a particular page or function on this site, please contact us by phone 1-877-365-9386 or email us at Customerservice@americansale.com and we would be happy to assist you. American Sale does not have a physical catalog you can shop from. However, our merchandise is readily available 24/7 online or you can visit one of our 9 Chicagoland stores. If I sign up for your Newsletter, will you sell my information to any other parties? American Sale never sells or rents any of our customers information. How secure is my information on your site? Your experience on AmericanSale.com is authenticated and secured by GeoTrust, the most credible Certifying Authority (CA) security software. The security of your personal information is very important to American Sale. We never sell or rent your personal information to any third parties under any circumstances. We value your trust very highly, and will work to protect the security and privacy of any personal information you provide to us.